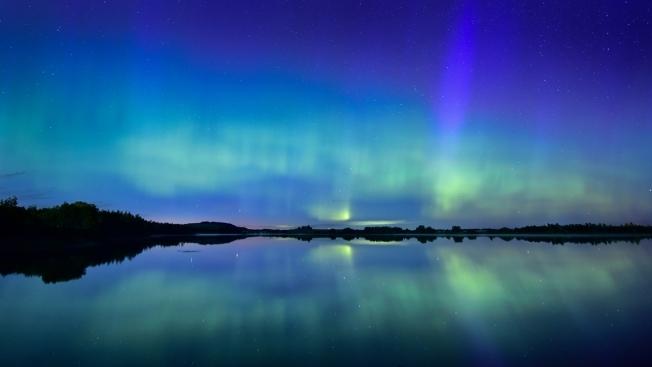 People here in Connecticut may get a rare chance to see the Northern Lights this weekend. The National Oceanic and Atmospheric Association's Space Weather Prediction Center has issued a moderate geomagnetic storm watch for Saturday. The Aurora Borealis, or Northern Lights, are the result of electrons colliding with the Earth's atmosphere near the North Pole, according to NOAA. The Space Weather Prediction Center detected a coronal mass ejection (CME) from the sun's surface on Wednesday that may affect the Earth's atmosphere on Saturday. According to a map released by the Space Weather Prediction Center puts Connecticut on the very southern fringe of areas that may be able to see the phenomenon. 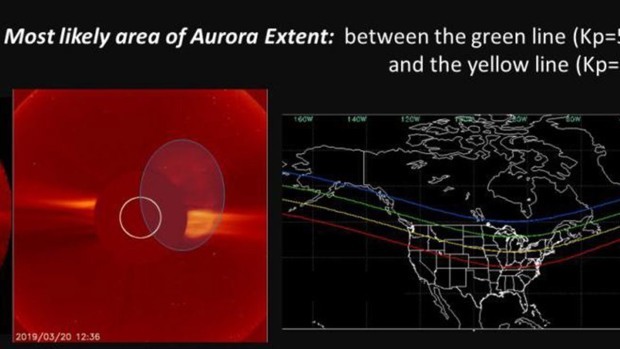 Even during large geomagnetic storms, it can be difficult to see the Aurora Borealis in Connecticut because of the amount of light pollution here. For those who want to try and catch a glimpse Saturday night, find a dark area away from street and city lights and look north.